The inaugural issue of Humanum proposes the child as the most basic figure of the human, a figure which is often lost to view in our liberal culture, bound up as it is with a logic of childlessness, through its forgetfulness of being and its Origin. Gottman, John M., The Relationship Cure (New York: Three Rivers Press, 2001). Hornby, Nick, About a Boy (New York: Riverhead Books, 1998). Jackson, Mick, Temple Grandin (HBO 2010). Henig, Robin Marantz, Pandora's Baby: How the First Test Tube Babies Sparked the Reproductive Revolution (Cold Spring Harbor Laboratory Press, 2004). Longman, Phillip, The Empty Cradle: How Falling Birthrates Threaten World Prosperity and What To Do About It (New York: Basic Books/Perseus Books, 2004, 240 pages). Cavalletti, Sofia, The Religious Potential of the Child (Liturgy Training Publications, 1992) (Catechesis of the Good Shepherd Publications). 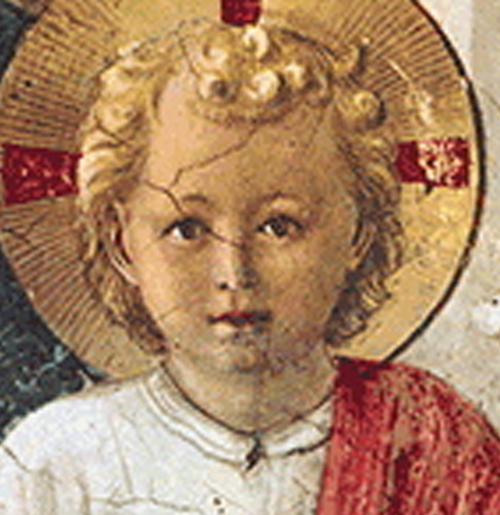 Cavalletti, Sofia, The Religious Potential of the Child 6 to 12 Years Old: A Description of an Experience (Liturgy Training Publications, 2002) (Catechesis of the Good Shepherd Publications). Buckingham, David and Tingstad, Vebjørg (eds), Childhood and Consumer Culture (New York: Palgrave Macmillan, 2010). Berryman, Jerome W. , Godly Play: An Imaginative Approach to Religious Education (Augsburg Fortress, 1991, 179 pages). Berryman, Jerome W., Children and the Theologians: Clearing the Way for Grace (Morehouse Publishing, 2009, 276 pages. ). Palmer, Sue, Toxic Childhood: How the Modern World is Damaging Our Children and What We Can Do About It (Orion, 2006). Bunge, Marcia J., The Child in Christian Thought (Eerdmans, 2001). Brennan, Patrick McKinley, The Vocation of the Child (Eerdmans, 2008). Konner, Melvin, The Evolution of Childhood: Relationships, Emotion, Mind (Belknap Press of Harvard University Press, 2010, 960 pages.). Bakke, O.M., When Children Became People: The Birth of Childhood in Early Christianity (Fortress Press, 2005). Knight, Gavin and Knight, Joanna, Called by Mind and Spirit: Crossing the Borderlands of Childhood (Continuum, 2010). Postman, Neil , The Disappearance of Childhood, 2nd ed. (New York: Vintage Books, 1994). Matthews, Gareth B., The Philosophy of Childhood (Cambridge, MA: Harvard University Press, 1994). Krupp, Anthony, Reason's Children: Childhood in Early Modern Philosophy (Lewisburg: Bucknell University Press, 2009).